For instance, you might notice that you just can’t deliver client reports that say, “Congratulations, you’re #1” anymore. And that's because the new reality is that there is no #1 for all searchers. 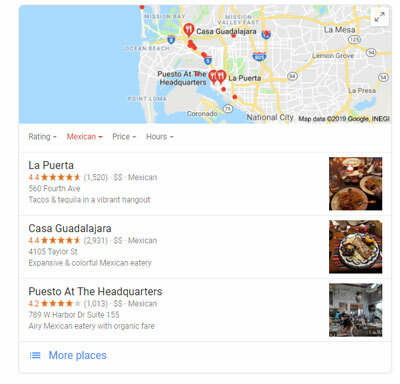 A user on the north side of town may see a completely different local pack of results if they go south, or if they modify their search language. 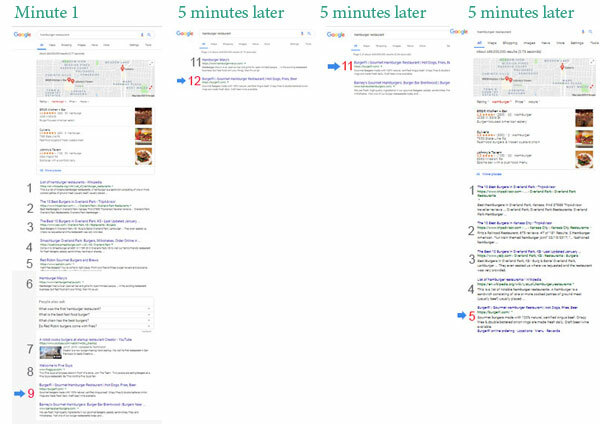 An SEO may get a whole different SERP if they search on one rank checking tool vs. another — or even on the same tool, just five minutes later. Today, let’s talk about how we can distill this dynamic, complex environment down to the simplest shapes to understand who your client's true competitors are. 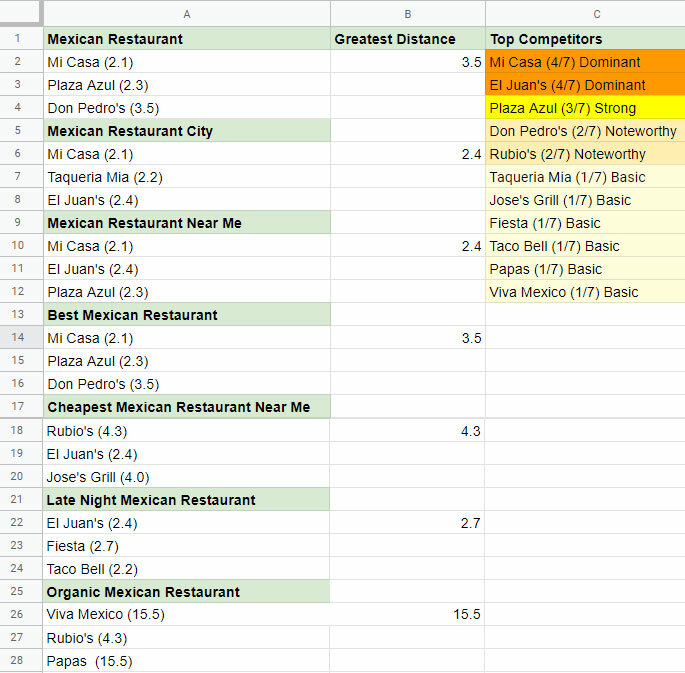 I’ll be sharing a spreadsheet to help you and your clients see the trends and patterns that can create the basis for competitive strategy. 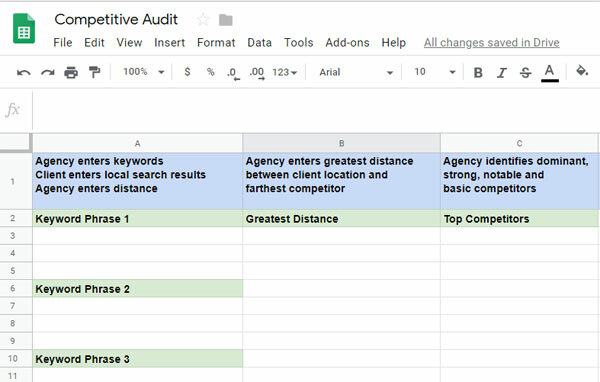 Why are competitive audits necessary...and challenging? 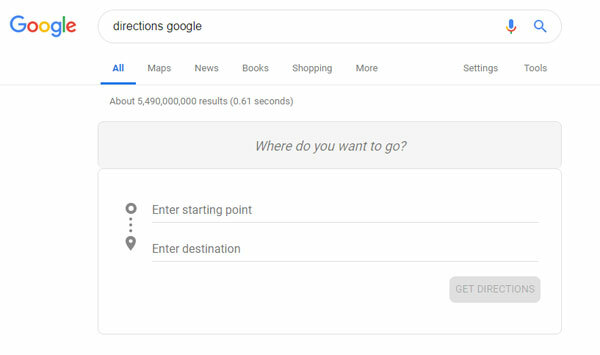 Enter your client’s business address and the address of their first competitor. Write down the distance in the spreadsheet. Repeat for every entry in each of the seven local packs. This will take you approximately 10–15 minutes to cover all 21 locations, so make sure you’re doing it on company time to ensure you're on the clock.